The Winnipeg Jets definitely got some things right when they drew up their final roster after the exhibition schedule. They also missed the mark on a few players as well. As of this writing, there are still 24 skaters on the Jets roster but two, Matt Hendricks and Andrew Copp, are on injured reserve, meaning neither counts toward the limit of 23. Copp will likely return for the season opener on Oct. 4. 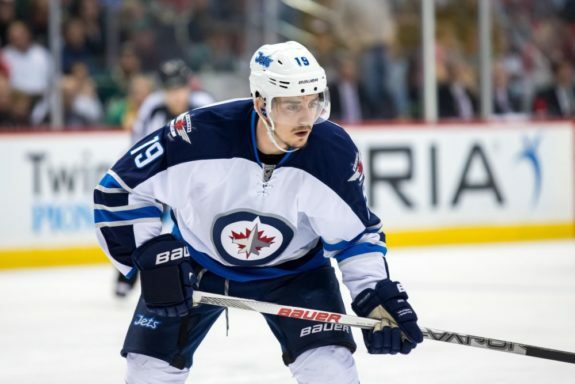 Many Jets fans were pleased to see Nic Petan make the team. Goodness knows he earned it in the preseason with his play. Marko Dano also played his way onto the team and, despite some hiccups, so did Kyle Connor. In many ways, the Jets roster represented what many fans projected as the ideal one for 2017-18 as early as May of this year. Many observers wanted to see more of Dano and Petan, less of players like Chris Thorburn whose intangible benefits to the team never seemed to translate to on-ice success. And then the Jets put out their practice lines ahead of the season opener, and those same observers collectively slapped their foreheads. Bearing the brunt of the criticism was Brandon Tanev, who was up and down between the Jets and the Manitoba Moose last season, and managed just two goals and four points in 51 games. His two goals came in the same contest, a 4-3 win over Detroit. Tanev began the regular season with the Jets last year, but the Jets called up several players due to injury over the course of the regular season, including Copp, and, when the time came to send someone down, it was Tanev who ultimately went, though he did come back not long after. Which begs the question: if these are indeed the Jets lines heading into action against the Leafs on October 4, what has Tanev done to merit third line status? Competition for the Jets final six forward spots was always going to be heavy. With many skilled youngsters banging on the door, including Jack Roslovic, who was among the last cuts, there was bound to be some difference of opinion on the roster. Very few opinions, however, have Tanev as a top-nine forward, or even a regular NHL forward. The exception, apparently, is the opinion that matters most: that of Jets head coach Paul Maurice. In fairness, the likeliest outcome according to most pundits was that Copp is ready to go for the season opener, and he’d slide into Tanev’s spot on the third line. Tanev was therefore just a placeholder on the depth chart while Copp gets back to normal. It didn’t play out that way. As of the pre-game line rushes, Petan was the odd man out. 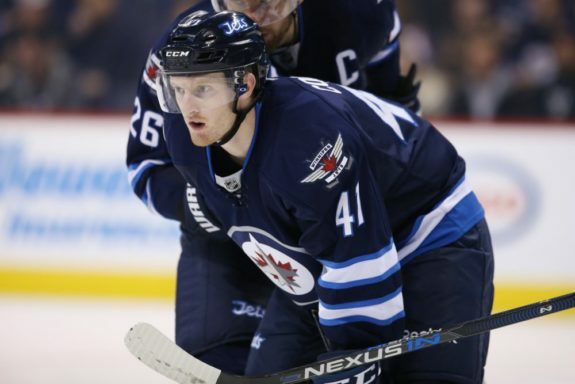 As for Kyle Connor, he was loaned to the Manitoba Moose on the eve of the opening game. And I say loaned (even though he was technically assigned) because it is just a loan. If Connor plays anything like he did last year in the AHL, he won’t be there long. Even so, the decision to put Connor in the AHL over Tanev was a bewildering one. Tanev is reputed to be strong defensively, but his horrible possession stats belie that. His penalty killing prowess, another reason he reportedly remained, is also dubious thanks to the Jets horrid penalty kill percentage last year (though this can hardly be laid entirely at Tanev’s feet). Also worth noting is that Tanev failed to hit the point totals in 51 games that Connor hit in just 20. It seems pretty cut and dried that the Jets took a step back here, but for Tanev to sit in the box is less damaging than for Connor, so to the Moose Connor went. The trouble is, Tanev isn’t sitting in the press box, at least not on opening night. Given Jets fans overall view of the coaching staff at present, the reaction to this was predictably bad. As for the rest of the bottom six, one potential controversy for the Jets has been averted (or at least delayed) as Hendricks has been placed on IR. If he were to play on opening night instead of Dano or Petan, I think Jets Twitter might’ve rioted. The lines aren’t set in stone, but, based on the preseason, the duo of Petan and Dano is intriguing. They won’t play together opening night, but will almost certainly be reunited at some point. Dano’s brash, in-your-face game and willingness to bull his way to the net make for a clear but workable contrast with Petan’s cerebral puck distribution. Petan needs someone to pass to. His poor results playing with fourth-liners and healthy scratches last year proved that. Maybe Dano is that someone. At any rate, it couldn’t hurt to try. As for Shawn Matthias, he’s something of a wildcard on that line. A bigger body with good puck protection skills, it will be interesting to see if he remains with Petan and Dano, or reunites with his linemates from last year, Lowry and Armia, who used their size to own the puck in the offensive zone. The duo of Lowry and Armia are well familiar with one another, and at times proved dominant in the offensive zone, but could use a little more speed. This is where Copp comes in. He’s speedy, and, unlike Tanev, has shown some offensive flair to go along with his quickness, having spent time on the top line with the Jets last season. If Lowry, Armia, and Copp can cycle the puck as well as they did last year while cutting down on the defensive turnovers, the Jets have a solid third line. Of course, many will want to see Petan’s unit used as a third line, and, with Petan’s skill, who can blame them? At the end of the day, it’s too early to definitively say if the Jets made all the right calls. There are some moves to like, some moves to question, and some moves with the potential to really bite the Jets later on down the line. The Jets will need to cut back on the latter sort, as every roster spot is critical if the Jets are to make the playoffs. With opening night now less than 24 hours away, our questions about the Jets are soon to have answers.